The Marine Point development in New Brighton is gearing up for a busy festive period with a number of exciting new retail and leisure outlets set to open this December. The eight screen all-digital Light Cinema will be open for business on December 2, and will be swiftly followed by Brooklyn’s – a new American-style family restaurant – Starbucks, Merseyside based retailer Home Bargains and boutique ice cream and coffee bar Caffe Cream. Neptune, the developers behind the £60million waterfront complex, has already welcomed a Morrisons superstore and Travelodge hotel, both of which have reported a very successful opening trade period. Daniel Hynd, Neptune’s Property Director, added: “We are delighted that so many new outlets are opening at the Marine Point development in time for Christmas. The cinema, restaurant, coffee bars and shops will significantly enhance the mix on offer for people of all ages. 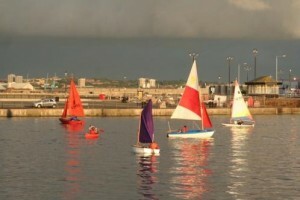 They are all exciting new brands and a perfect fit for Marine Point and wider New Brighton. “This is a busy time for the Marine Point development, with Morrisons and the Travelodge hotel having just opened with huge success, and the fit out having just started on the £6million Grosvenor Casino. “Neptune’s waterfront development has been carefully designed to revitalise the resort in a way that creates the basis for sustained success. We are currently talking to a number of other major restaurant, coffee bar and retail brands, and hope to have even more positive news in the New Year. Brooklyn’s is the first of what owner and American-born restaurateur Keith Gurney hopes will grow into a mainstream brand in the North West. The restaurant is investing £800,000 and creating 40 new jobs at the seafront development, which will open in December overlooking the Marine. Mr Gurney said: “Neptune has revitalised New Brighton waterfront, transforming it into a first class leisure and retail attraction for all ages. My hopes are that Brooklyn’s will become New Brighton’s number one family friendly restaurant as well as a great place for couples and groups of adults. Caffe Cream at New Brighton meanwhile is a unique and innovative coffee and ice cream bar from the owners behind the popular Wirral chain Cappucinos. Up to 15 new jobs will be created at the outlet, which will offer hand crafted coffees as well as delicious ice cream made on site. The Light Cinema will be officially launched on Wednesday December 7 with a glittering black tie charity event in aid of the Royal National Lifeboat Institution. The cinema has a range of top films lined up for the festive period including Happy Feet Two, Puss In Boots, Sherlock Holmes 2 and The Girl With The Dragon Tattoo. Come and Celebrate God’s Greatest Gift. Is an independent local charity offering quality day care for older people and respite for their carers. A full roast lunch, pudding, cheese board, mince pies, Christmas crackers, a visit from Santa with a gift, a nice warm tipple plus lots of fun and laughs along the way…. In return, we will toast your health you will be able to enjoy your own Christmas that little bit more knowing that you have made someone’s day. Probably the best £5 you will spend all year! The multi million pound fully digital 8 screen Light Cinema is close to its opening date of 2nd December. The facility will be launched officially on the 7th December with a glittering RNLI fundraiser. We look forward to welcoming the readers of the Walrus to enjoy its state of the art facilities. Our programming will offer a mixture of Hollywood blockbusters, independent film, classic cinema, kids clubs, sporting events, live events and accommodate the bespoke interests of the local audience. We look forward to being an influential and collaborative partner to societies, businesses, schools and groups. The cinema will play a key role in the regeneration of New Brighton and help Marine Point become a first class hub for leisure. We are creating dozens of local jobs, and we have been delighted with the amount of interest we have had from the local community, as well as the support the people of the Wirral have shown us. We are committed to delivering an exceptional cinema experience and look forward to seeing the friends we have made locally and making new ones along the way. 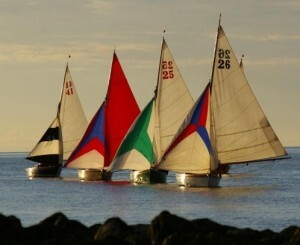 To us, more importantly are the boats we sail. 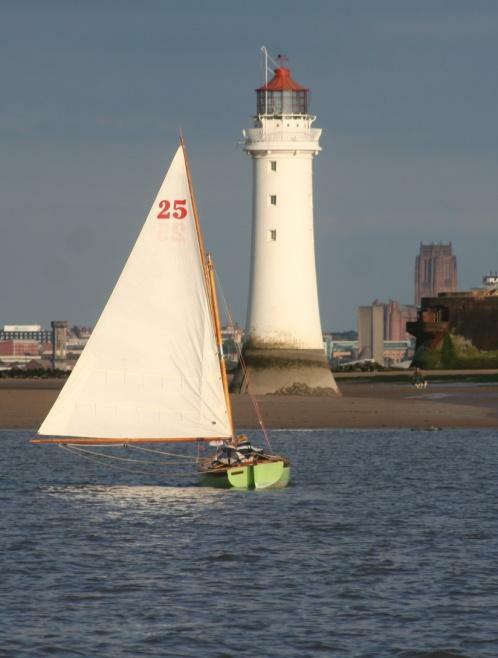 Our boats, known as “Seabird Half Raters” are most often seen moored in the River Mersey near to where the Pier once stood. Our members race these classic boats throughout the summer months before taking them ashore in September. There will be crafts, snacks, storytelling and much more. Sergeant Andy Bragg from Wallasey Police station and Rusty Keane who chairs the North Wirral Crime Prevention panel attended at St Mary’s School and St Peter and Pauls assemblies to recognise the actions of some of their students during an incident earlier this year. On Tuesday 29th March, at 6pm a woman was walking her dogs in Vale Park. It was dark raining and the woman had her hood up and umbrella. As she left the park onto Vaughan Road she was suddenly pushed from behind twice and fell to the floor. A man then demanded she give him her bag. He then snatched the bag from her and ran away leaving her on the floor. It was at this point that Connor Peckham Morris, Quinton Doyle, Kieran Carter, Tierney Witty and Jack Witty who playing in the park chased the man, phoned the police and then waited with the woman and took care of her till the police arrived. Due to the excellent description given by the boys a man was arrested a short distance from the park. The woman was understandably very shaken by her ordeal and has said since what these boys did to help her has helped her come to terms with what happened. 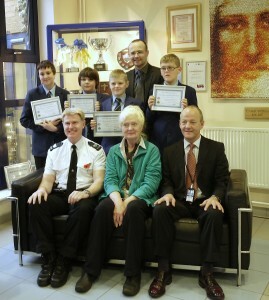 The prompt actions of these boys and willingness to help showed excellent community spirit and they are all a credit their families, their school and the whole community. 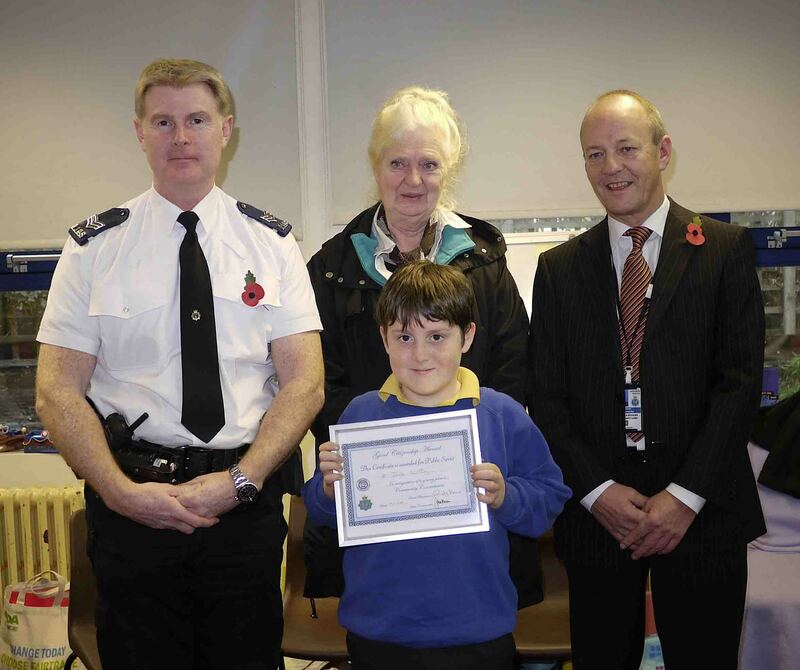 They all received and framed certificate and £25.00 gift voucher from the privately funded crime prevention panel. 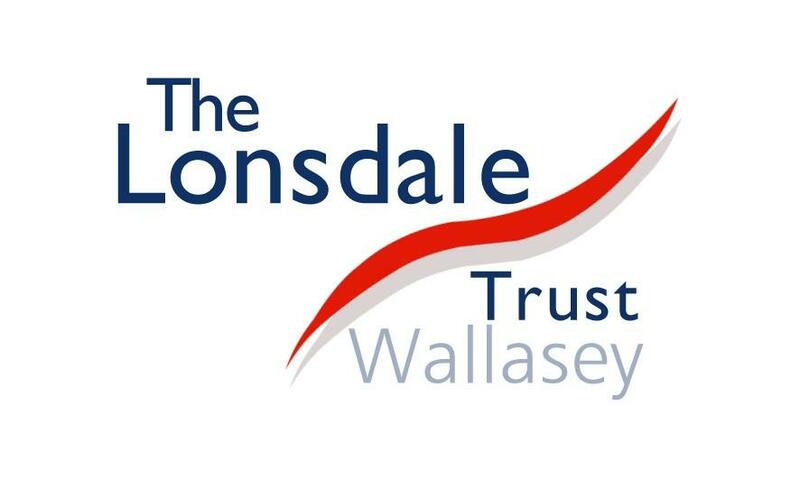 The League of Friends of Wallasey Hospitals have raised a magnificent £5,000 towards the RNLI New Brighton lifeboat stations £50,000 Crew Training and Equipment appeal launched earlier this year. The 20 volunteers of The League of Friends who are based at Walk-In Centre at Victoria Central Hospital, Mill Lane, Wallasey provide a welcome range of tea, toast and snacks to visitors to the Minor Injuries Department. Chairman of the New Brighton Lifeboat Station, Frank Brereton on receiving the cheque for £5,000 said ‘ We are honoured to receive such a donation to our appeal and it takes us well on the way to reaching our £50,000 goal. Its great to know that the unselfish efforts of our volunteers are so appreciated, especially by voluntary organisations like the League of Friends who do such a great job in the community. Ours is a very busy station with 59 call outs so far this year for our inshore lifeboat Charles Dibdin and hovercraft Hurley Spirit along with our regular training sessions it takes a high toll on the crews personal equipment. In addition the nature and variety of call outs requires extensive and specialist training to enable our volunteers to deal with whatever they are faced with, often in a very demanding environment – it does not come cheap’. This is open every Tuesday, Wednesday and Thursday at the Community centre. Served at 12:30 local pensioners, unemployed members of the community and people on low incomes can have a three-course meal and a cup of tea for just £3. This offers people community loans which are a vital means of support in the present economic situation and are a very important helping hand for those people seeking work and on low incomes, particularly those struggling to survive financially. It meets every Tuesday 10 am to 11 am. This service which started in 2002 offers local residents’ free internet and email addresses. It’s a valuable resource were residents can surf the web, search for jobs (see Bridge to Jobs description below) and relax in comfortable surroundings. They can also enjoy a cup of tea/coffee and seek the assistance of the ICT Facilitator should they have any problems or need advice. Residents can also scan documents, use the photocopier or fax. Every Monday afternoon 2pm till 4pm. Accent on enjoyment rather than talent. All materials provided – £3 per 2 hour class. For more details phone Iris on 0151 638 8472. Every Friday: 9.45am – 11.00am. Spaces limited, ring Chelsea 0151 630 0864 to book. Every Monday 10.30am – 11.30am. Art & Craft for Pre school Tots. Come & join in all the fun! Ring Philippa for details 0151 345 3490 or 07729 303 538. (Classes start November 7th 2011). 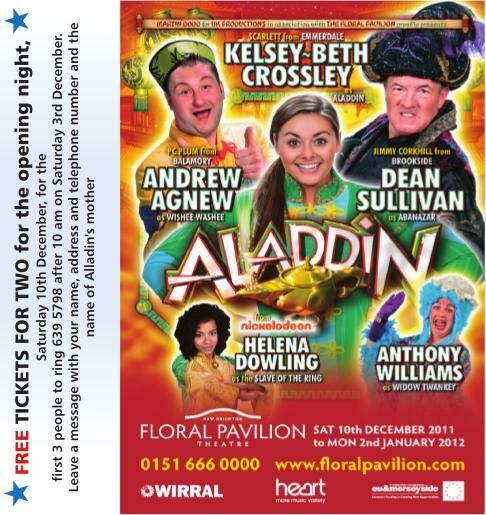 The Floral Pavilion, New Brighton, has now confirmed the star studded cast appearing in their spectacular family pantomime Aladdin running from 10th December to 2nd January. After last year’s hugely successful production of Cinderella, brought to the Floral by UK Productions, the venue is looking forward to one of Merseyside’s only truly traditional family pantomimes. The show will have lavish scenery, spectacular dance routines as well as laughs for all the family headed up by a cast that will appeal to every generation. The role of Aladdin will be played by KELSEY-BETH CROSSLEY who is best known as Scarlett Nicholls in ITV’s Emmerdale. Kelsey has now played Scarlett in more than 500 episodes and on Christmas Day last year appeared on All Star Family Fortunes with the Emmerdale King Family beating rivals Coronation Street’s Webster Family. However Kelsey originally began her showbiz career at the tender age of eight when she won the part of little Eva Lawrence in Her Benny at the Liverpool Empire, a show that is coming to the Floral Pavilion later this year. ANDREW AGNEW, who is probably best known by the younger audience as the Crime Busting, Nature Loving P.C. Plum in the two times Bafta Award Winning Balamory (Cbeebies) will be playing the hilarious Wishee Washee. Andrew is also well known leading his “Spotters Club” in Spring Watch (Cbeebies) and Bafta Award Winning Autumn Watch (Cbeebies). He was also involved in a one off Balamory Christmas Special Seeking Santa (Tattiemoon) as well as being an old hand at panto that has been delighting children all over the country. The magical Slave of the Ring will be played by Nickelodeon’s HELENA DOWLING who not only presents Wake Up World on Nickelodeon Jnr but has just finished touring as a dancer and singer for the Pet Shop Boys who were supporting Take That on the ‘Progress 2011’ tour performing to crowds of over 90,000. Abanazar will especially evil this year as DEAN SULLIVAN takes on the role. Dean, who is probably best known for playing the lovable rogue, Jimmy Corkhill in the Channel’s flagship programme Brookside, a role he played for 18 years. He has had an impressive career on stage and screen but is also known and loved in Merseyside for the great work he has done for the arts. Dean recently toured the north-west in a critically acclaimed one-man production, playing Graham from A Chip in the Sugar in the stage version of Alan Bennett’s Talking Heads and was last year was back in his home town of Liverpool starring as William Laird in the smash hit comedy, Brick Up – the Wirral Strikes Back, at the Empire theatre. As usual the Floral’s panto will have an exceptionally funny and completely over the top Dame who will be played by ANTHONY WILLIAMS. Anthony’s creative career spans many years across a very broad spectrum of theatre and pantomime. He has recently been Associate Director to Michael Bogdanov and was also responsible for the choreography for Wales Theatre Company and Aberystwyth Arts Centre, Anthony is very excited to be returning the Floral Pavilion having directed year’s smash hit production of Cinderella. Tickets are already selling fast and the Floral Pavilion recommend that customers book early as Aladdin is expected to sell out. Prices range from £11.00 to £16.50 (with special offers for families and groups) and can be booked on 0151 666 0000 or customers can choose their own seats online at www.floralpavilion.com. Wirral Older People’s Parliament is inviting people to an afternoon of live music in the historic surrounds of the Williamson Art Gallery. Presented by local folk singer Eddie Morris, the host will be joined by a full supporting cast of musicians for a fun-filled afternoon. Eddie Morris first started entertaining as lead vocalist and rhythm guitarist with one of the many pop groups around in the early Merseybeat days. After being introduced to the folk scene, he ran a club at the Cross Keys pub in Liverpool as a member of the Penny Black folk trio. Afterwards he would become resident singer at the nationally acclaimed Wednesday Folk Club in Parkgate. Eddie has shared the bill with acts like Mike Harding, Richard Thompson, The Spinners and the Houghton Weavers. His performances include ballads, chorus and comedy songs, along with stories, and anecdotes of his experiences and observations on life. To reserve your ticket please phone Brian or Anne on 0151 666 2220 or e-mail parliament@ageukwirral.org.uk before Friday 25th November 2011. Tickets are £5 and admission includes tea and cakes plus entry to a free raffle. Tickets are strictly limited so reserve yours soon! Over the coming months the New Brighton Heritage and Information Centre will be hosting bi weekly informative talks and presentations highlighting the areas varied and interesting heritage and history. We will also be highlighting new activities / assets that are being created for the local and wider community and providing some guidance to assist attendees with there heritage needs. The talks will be given by engaging speakers who will transport the listener to different locations or different times, possibly help them to trace their family origins or just highlight things available in the local area. All talks start at 2.30pm and will be held at the New Brighton Heritage and Information Centre. email cathy.nbheritage@gmail.com, phone 639 3555 or pop into the centre for a chat.